There’s a war – a murderous, savage, barbaric, hellish war – raging in Yemen. Images of the suffering and carnage there crop up in our newspapers and on television from time to time but it’s been going on for so long that we are becoming inured to it. It began as a domestic power struggle and quickly spiralled into a proxy war between Saudi Arabia and Iran, the latest sideshow in their ongoing struggle for power and influence in the Middle East. And, as usual, taking advantage of the instability and chaos, terrorist groups like Al-Qaeda have moved in, further complicating the situation. To snuff out Iranian influence, the Saudi-led coalition has launched a relentless and merciless bombing campaign against Yemen, hitting not just military targets but infrastructure, hospitals, schools and residential areas. 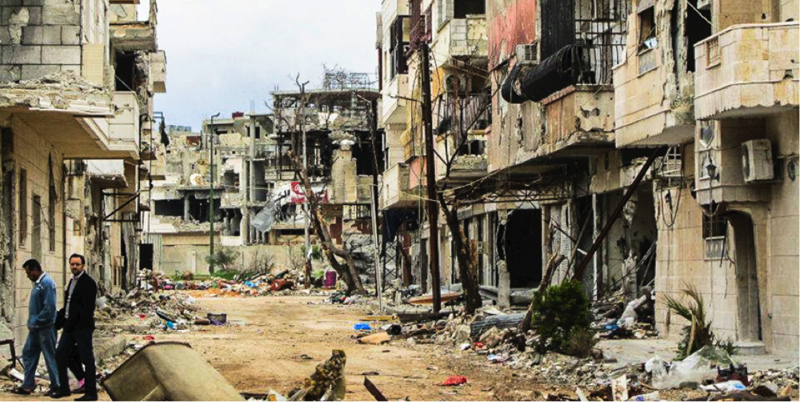 International observers believe war crimes are being committed. A Saudi naval blockade, in the meantime, has made it difficult for food, medical and other assistance to get through. If that is not bad enough, Yemen is also caught in the grip of one of the world’s worst cholera outbreaks with more than 900,000 suspected cases and over 2,190 deaths. Diphtheria and other diseases are stalking the land as well. I suspect that all these statistics, terrible as they are, hardly capture the reality of life in Yemen today. 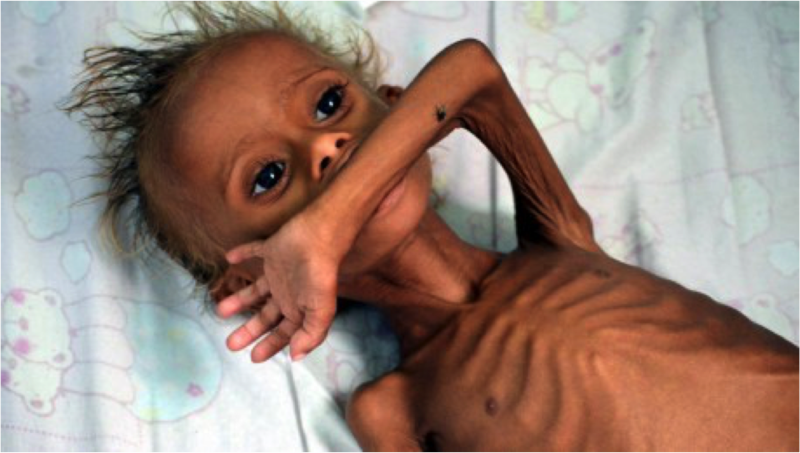 Whichever way you look at it, Yemen, already one of the poorest, least developed countries in the world, is being slowly but surely annihilated before our very eyes. And yet, there is so little outrage. While Saudi Arabia is the main architect of this savage war against Yemen, many others are complicit as well. The UAE, Bahrain, Kuwait, Egypt, Jordan, Morocco, Senegal and Sudan are either active participants in the Saudi-led coalition or support the Saudis in other ways. The United States, blinded by its implacable hatred of Iran and determined to contain Iranian influence at all costs, has supported the Saudi campaign in Yemen with weapons, logistical support and political cover. France, the United Kingdom, Australia and Germany (to name a few) support the Saudis with weapons sales and training. Western democracies talk much about liberty and justice but side with despots waging a brutal war on an entire nation. Containing Iran apparently justifies mass starvation and crimes against humanity. Islamic nations, for their part, are quick to work themselves into a frenzy when Muslims in distant lands are persecuted but keep silent when Muslims kill Muslims in their own backyard. They are very brave when it comes to confronting countries like Myanmar over the treatment of its Muslim minorities but cowardly when it comes to standing up to one of their own. They rush to Istanbul to protest President Trump’s recognition of Jerusalem as the capital of Israel but quietly rely on American support to bomb Yemen’s ancient cities. If others did to Yemen what the Saudis are doing to it, there would be fiery denunciations and angry demonstrations across the Muslim world instead of silence and indifference. Only Pakistan, to its credit, has refused to go along with this immoral war. Despite their dependence on Saudi aid, they found the courage to say no. There are, of course, genuine concerns about Iran’s regional ambitions and Arab states have reason to worry about their security but it can never be at the expense of innocent men, women and children, never at the cost of condemning a whole nation to such death and destruction. Is Malaysia complicit as well? Malaysia, too, is apparently complicit in this unfolding humanitarian catastrophe. Our defence ministry insists that some military officers have been deployed to the region but only to assist in the evacuation of Malaysian nationals from Yemen. Other reports, however, suggest that Malaysia is, in fact, part of the Saudi coalition and is working alongside personnel from the UAE, France, Britain and the US at Saudi joint headquarters in Riyadh to coordinate the air campaign against Yemen. Whatever the level of involvement, Malaysia has no business being there; it is an iniquitous and unjust war that goes against everything we stand for in international affairs. And even if we are not directly involved, our failure to speak out against war crimes being committed in Yemen makes us complicit. We had many opportunities to speak frankly with the Saudis but we are, it seems, too afraid to offend them. It’s time for Malaysia to break with the Saudis, condemn the criminal campaign against Yemen and demand an immediate halt to the bombing. We should also lend our full support to the efforts of the UN Secretary-General to broker a negotiated settlement in Yemen. Most of all, we need to help initiate a major international effort to deliver urgent humanitarian assistance to the people of Yemen. For a start, let’s take the lead to help save the children of Yemen. Let’s put our heads and hearts together as a nation – government and opposition, Muslim, Christian and others, private and public sector, civil society and NGOs – to structure a national humanitarian assistance mission to help these innocent victims of the war. Perhaps, the Royal Malaysian Air Force could help medevac seriously injured children and bring them to Malaysia for treatment, with all our hospitals – private and public – chipping in to help. Perhaps groups like Mercy Malaysia and other NGOs can be supported to set up hospitals and provide food and other assistance wherever conditions in Yemen permit. Perhaps we could organize a national fund-raising campaign to help aid groups already in Yemen at great cost to themselves. To be sure, our ability to influence events in the Middle East is limited but there are many little things that we can do that could make a big difference in Yemen if our hearts are in the right place. This is a defining moment, our opportunity to make a difference in the world by reaching out to the suffering people of Yemen. Surely to feed the hungry, to shelter the homeless, to help the hurting is to touch the very heart of God. Can a nation which prides itself on its fealty to God do any less?